Wheeler Lake is Alabama’s second largest, man made lake can be downright tough when bass come off the beds in May. But this is only for a week or two. Summer it gets better! Still, searching out all of those 68,300 surface acres on Wheeler lake for a school of quality sized summertime bass can often be awful intimidating on such a huge impoundment. There are the lake’s headwaters, a place of 50 plus miles from upstream Guntersville lake dam in Wheeler lakes headwaters all the way down stream to mid lake, where Interstate 65 crosses. This upper to mid lake region offers cool, running water all throughout the summer months and early fall period. Or you can target bass in one of the many dozens of feeder creeks of which Wheeler lake has to offer. In one major source of incoming waters is the Elk River, situated on the lake’s lower end. This twisting turning river is loaded with a variety of cover for many different fishing situations. Feeder creeks have loads of aquatic weeds, lots of visible wood and rock cover and many resident-built piers and boat houses. These fish holding homes are in abundance from the mid lake to the mouth of the Elk River. 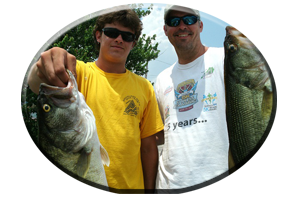 * Weeds are found lake wide and they come in a variety of choices for the largemouth bass-seeking angler to target. 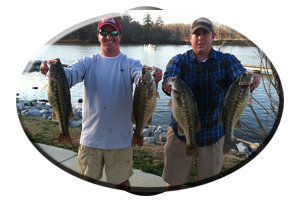 * Wheeler Lake, like most Tennessee River impoundment’s, is also an excellent fishery for targeting largemouth bass and smallmouth bass as well, year round. 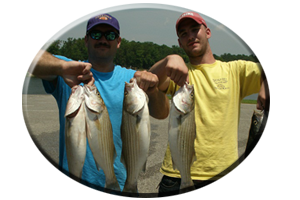 White bass, striped bass and crappie are other game fish that Wheeler lake offers for both day and night fishing all throughout the hot season of summer during the months of June, July and August. As June gets underway the bass recuperate from the rigors of spawning and a major feeding spree takes place lake wide. As Summer progresses Wheeler’s bass return to their normal summertime gathering spots. 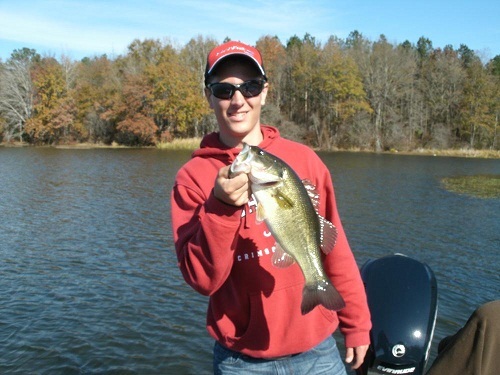 Excellent fishing occurs on Wheeler lake as summer progresses and millfoil and hydrilla weeds take on a full growth. Thick and matted in many areas, these aquatic-growing weeds offer excellent places to probe with various lures for bass. Proven “best” lure choices can be in the heavier category and some more gaudy type lures may have some very weed less qualities they display. Heavy weights are needed on big worms, big lizards, oversized crayfish imitations, even fat grubs, gitzits, tube baits, jig combos, Senkos and those weird looking creature type lures. 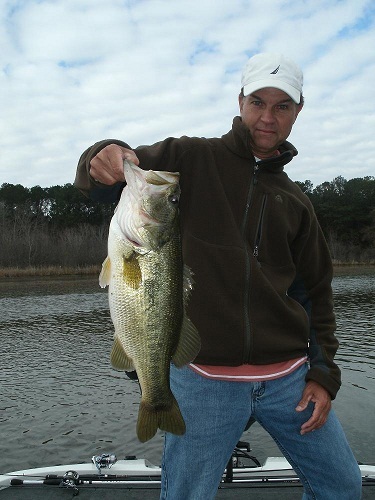 Always try lures weighing in that 1/2-to-1 ounce category to get these lures down fast. Even in deeper water, these heavier weighted lures may have to penetrate through some very thick wood cover, rock cover and/or some very thick weeds. These oxygen-producing weeds may grow from 1-15 feet deep (or deeper, according to light penetration) and they provide shade, cooler water and some excellent ambush spots for some big Wheeler Lake largemouth bass. 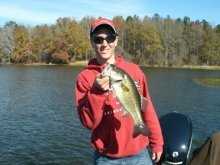 You can also target the weed edges with a wide selection of offerings enticing bass from top to bottom. Buzz baits take a lot of those anxious feeders holding along weed edges, up in the thicker weeds or around weed patches. They can be cast all through small weedy cuts and far back up in those deadly looking weedy lanes found within these weeds. * Always include trailer hooks on buzz baits for short strikes. Both Bill Lewis Rattletraps and Pradco’s Cotton Cordell Rattlin Spots (or other rattling, lipless lures), take numbers of bass when huge schools of shad eating bass invade the weeds holding to attack along weed edges. Crankbaits and both suspending and floating model jerkbaits also take bass found along the weed edges during the summer months. Spinnerbaits fished just beneath the waters surface get surprising results during hot summer seasons, especially when fished parallel along weed edges and other cover. Dropping or slow-rolling these vibrating flashing lures or others like in-line spinners or Chatter baits, get the bigger bass bite when times are tough. 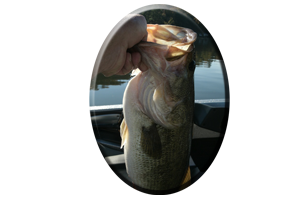 Early, late in the day, or during an all day rain these bass can be coaxed from cover by fishing topwater lures in and around these thick, seemingly impenetrable weeds. Frogs, rats, floating worms, lizards, soft jerkbaits and various other weed less lures should always have sharp hooks and should be fished on as stout equipment as possible. Deep cranking combined with jigging spoons and Carolina-rigged lures are also good tactics all throughout the summer months on Wheeler Lake. As mentioned for during the day, fishing weeds on Wheeler Lake can be just as productive during the nocturnal hours. 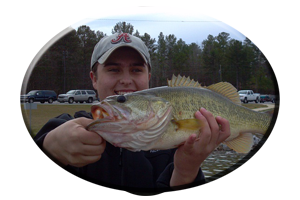 These bass will hit the same lures (yes even crankbaits), only some bass will get very shallow as the moon appears, usually after midnight. Push poling or silently trolling way back in the thick, matted millfoil can reward an angler with the nighttime mother lode of big bass. Anchoring down in one spot, having a cup of coffee and remaining quite will prime these spots for bass to move in. They are very spooky, so stealth is of the utmost importance. Added to these tactics are practicing long casts with weed less topwater lures, using stout rods and strong reels, and having strong dependable line spooled on all reels. Of course this includes nerves of steel, including a good healthy heart. Exciting topwater blow-ups are deadly with this system and not for the faint hearted! The Elk River and many major feeder creeks also harbor nighttime bass that relate to well-lit areas at night. 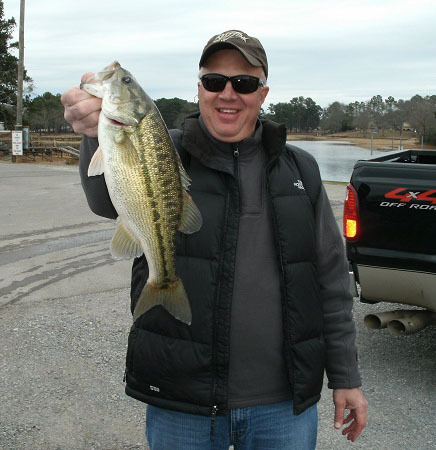 Great places for largemouth bass. This goes for smallmouth bass as well, that feed at night, and they can deliver rod-jarring strikes in the dark, around these same well-lit areas. Marinas, piers, boat houses, the lower lake dam area, around bridge rip-rap rocks and rock-lined causeways, are all excellent places for probing with the same lures as daytime use…only a little slower at night.